There's a trend sweeping the world. This is the home decor equivalent of fashion's embroidered top and it's everywhere. 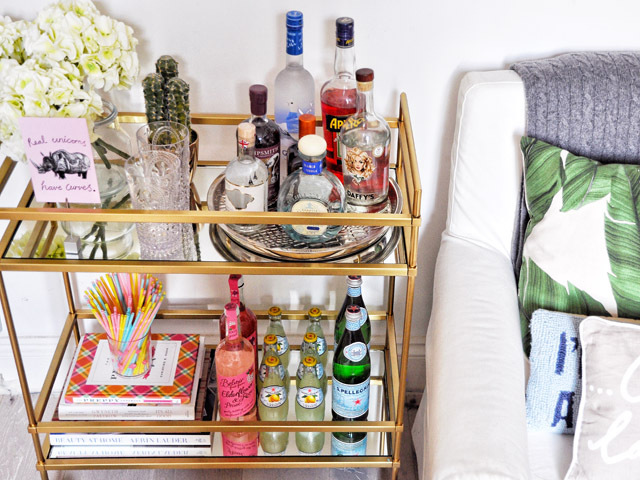 I'm speaking of the bar cart and it's getting updated as regularly as some people's wardrobes. 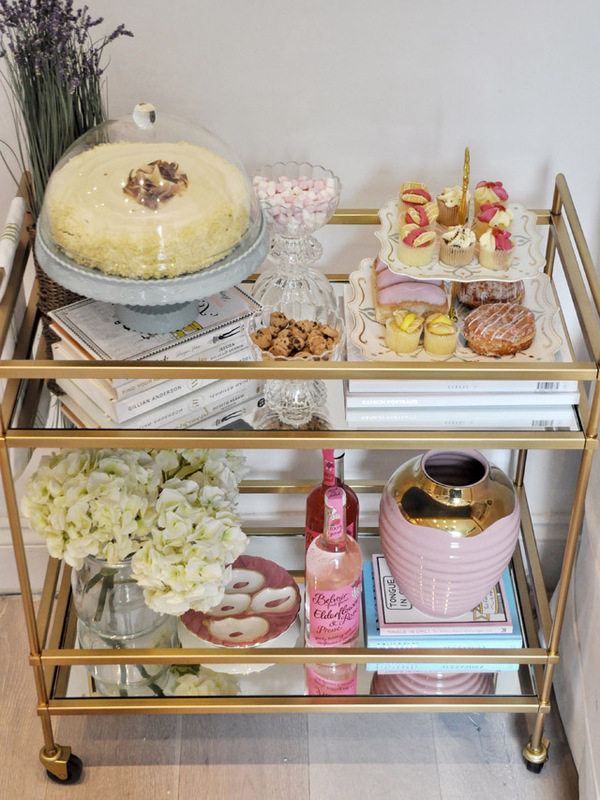 Type "bar cart" into Pinterest and you'll be met with a plethora of picturesque interiors moments featuring everything from Christmas decor setups to cupcake corners, all with the beautiful bar cart acting as the lead in the scene. For months I've been looking everywhere for my perfect match, the perfect fit for my home decor goals. 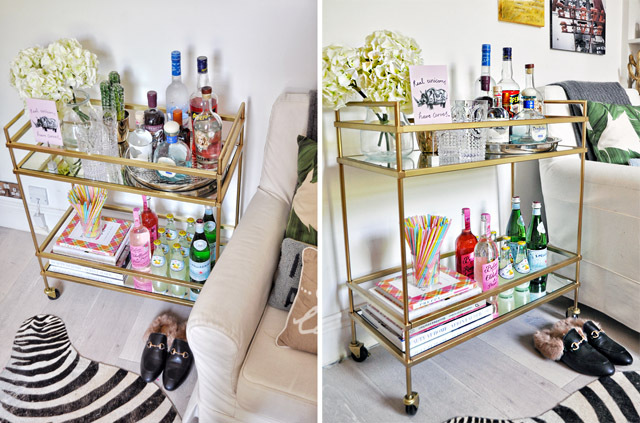 Last month Mr. Bar Cart, my dream cart, was found. It was love at first sight or site (since technically it was discovered online). The cart in question is, naturally, an American import. It's from West Elm (there's one on Tottenham Court Road, Londoners), which I do believe has led this whole crazy trend into the mainstream. They have a series of bar carts out at the moment, and there really does seem to be one for everyone. 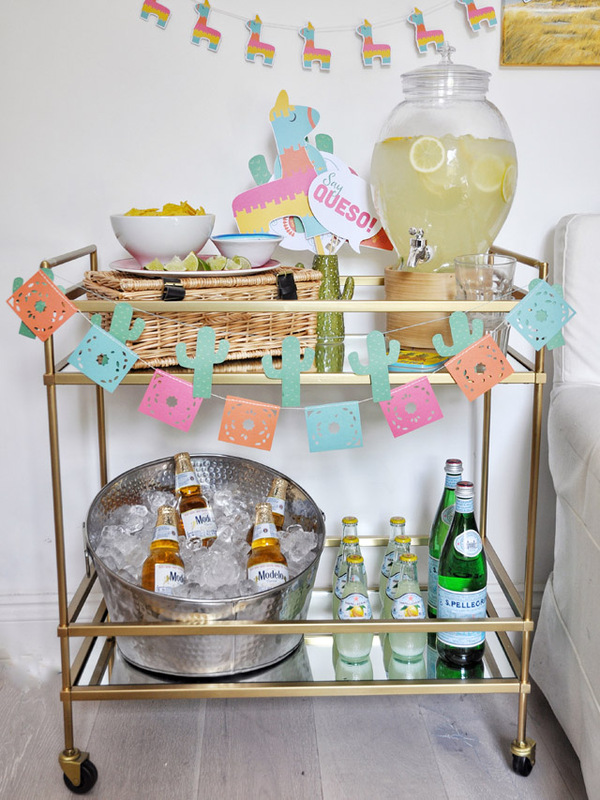 My bar cart is the Terrace Bar Cart. 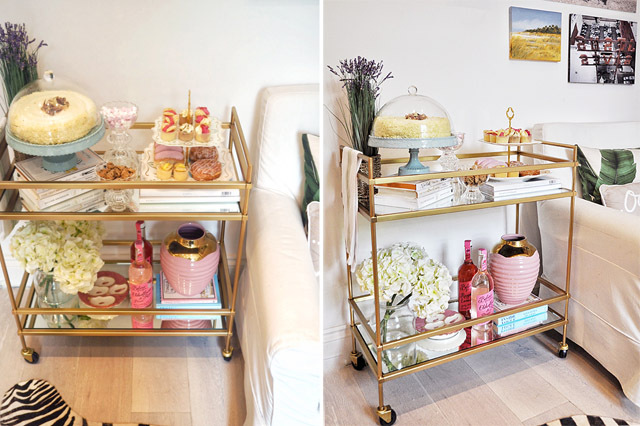 If this particular cart isn't your vibe, take a look on their site and see if there's one that will fit your room and budget. 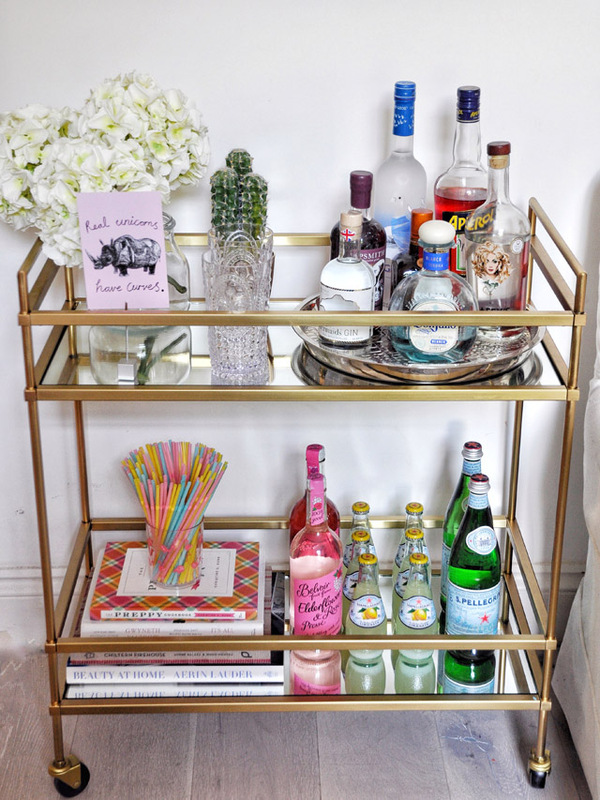 Now, my bar cart discovery and delivery needed instant love and recognition. And the best way to do that is with friends, right? 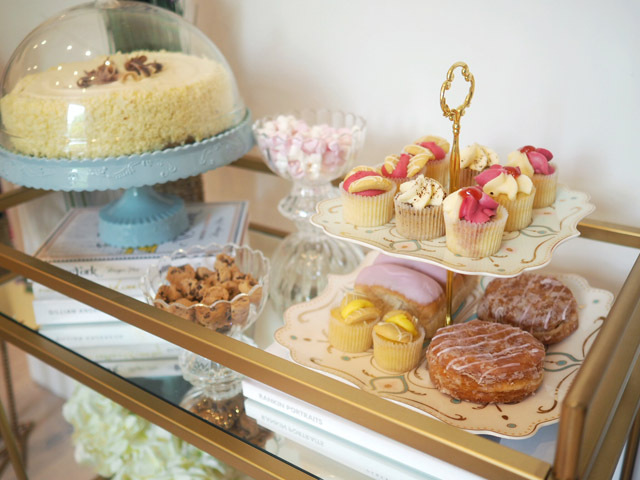 One thing led to another and I was redressing my bar cart over and again for entertaining. And the rest, as they say, is history. After one week I found myself with three looks for one piece of furniture. Of course that means it's something I need to share right? Before I do any more transformations, I want to showcase the three looks thus far. 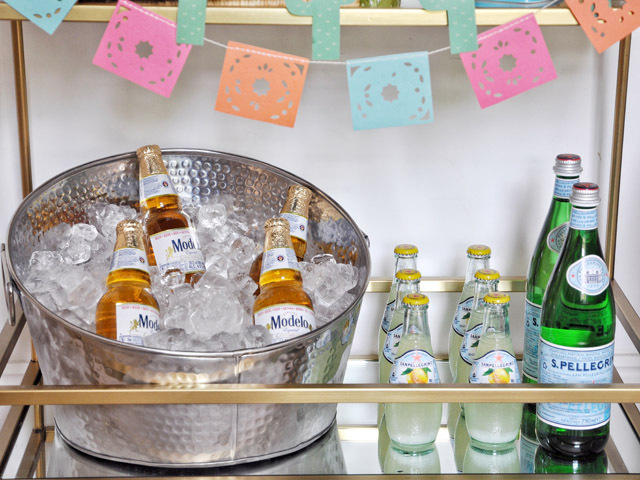 Let's kick off with the one that's the most time sensitive as this is the perfect Bar Cart Transformation for the forthcoming Cinco de Mayo. 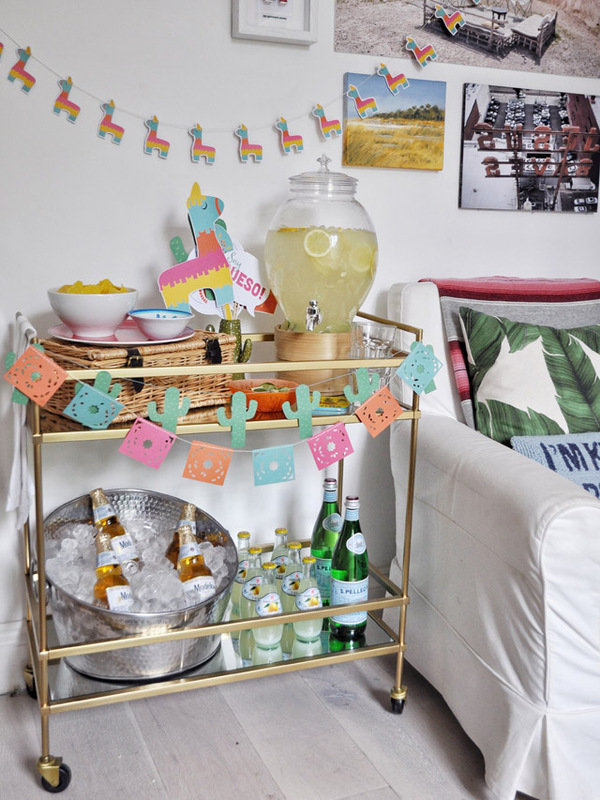 This particular bar cart featured in a Taco Tuesday night in the FFG household and served as a refreshment station for guests. But, I do believe I'll be reusing for the fifth of May celebrations! 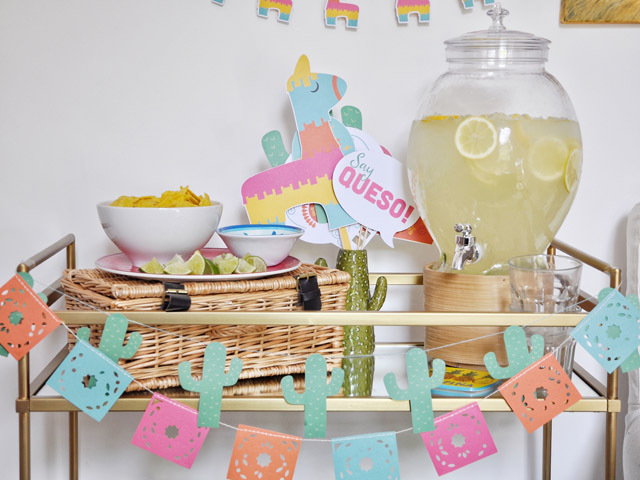 The paper decorations, glasses, beer cooler and margarita dispenser were all accessories I found at Homesense (if you don't know about this place, it needs to be on your radar asap, but more about that later). They had been hiding, waiting for the right moment to celebrate an "oh-so-regular" night. 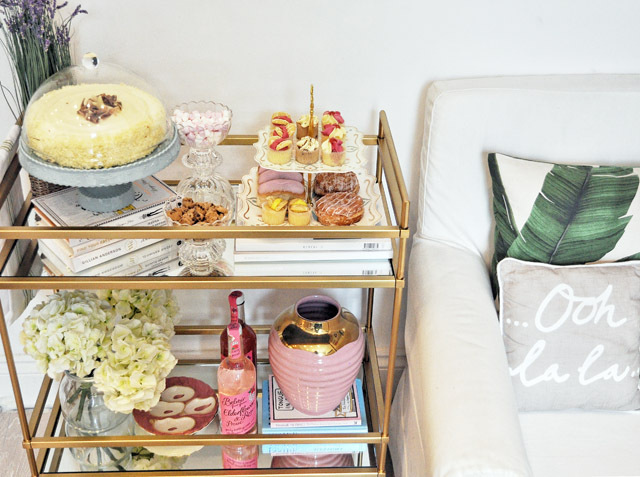 Because now that I have a bar cart, every night seems like an excuse to have a celebration of sorts. 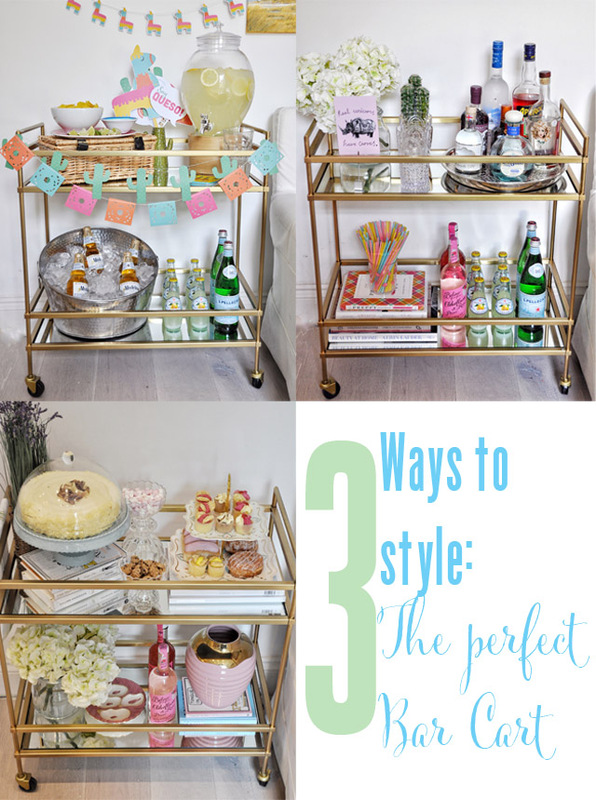 Last, but certainly not least, we have the everyday bar cart style for April. I say that because I am pretty sure May will bring about a complete reinvention of the interiors accessory. I'm thinking Pimms station for summer or a permanent Aperol Spritz corner. There is a very good chance I'll never leave the house to entertain again. 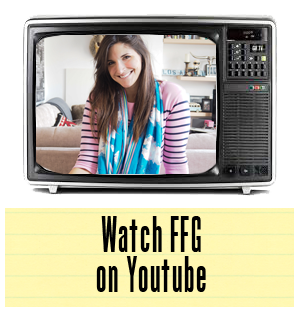 It's just too much fun finding new ways to incorporate this new piece into our lives. I don't think even a favourite handbag has had this much love. Funny that. Watch this space, as I'm pretty sure there will be more to come on the bar cart corner. I'm on the hunt for the perfect chair to replace the Ikea number that has travelled to over half a dozen flats with me over the years. Oh, and also in constant search of the most beautiful bottles of spirits. Daffy's Gin is a favourite at the moment, and I'm sure I'll be adding to the collection now that I have a place to showcase these beauties!